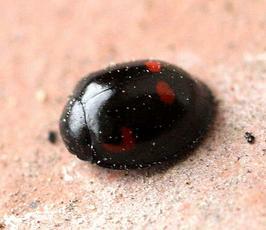 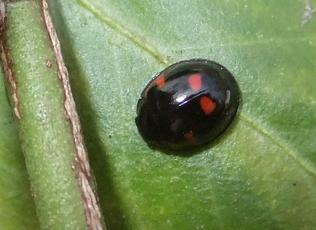 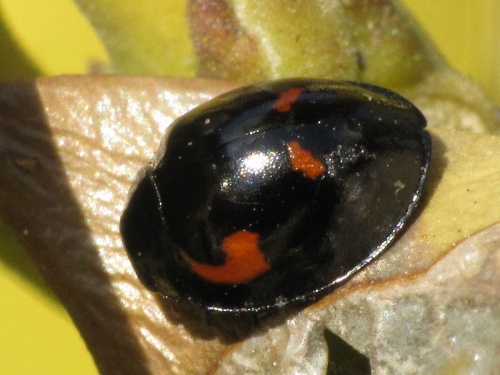 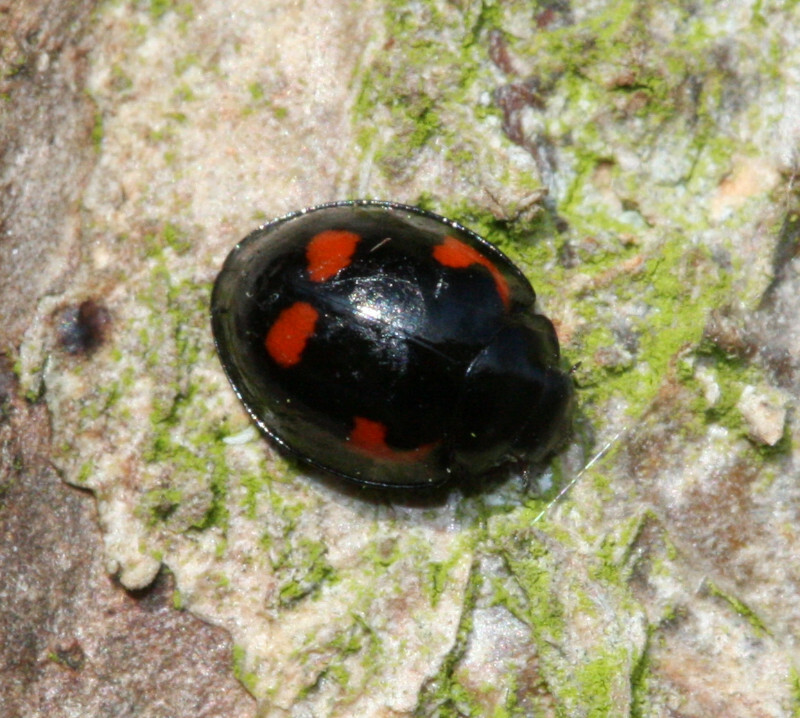 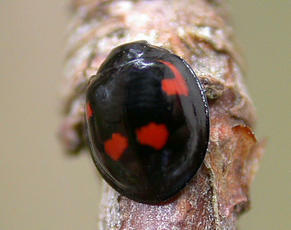 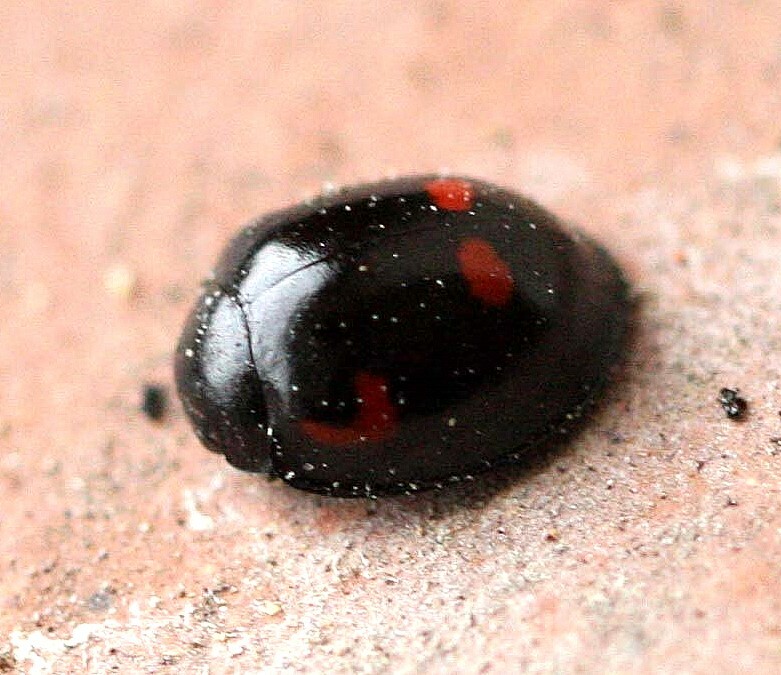 This is a small ladybird (3 to 4 mm), with red comma-like front spots on the black elytra and a flange around the base of each elytron. Photo or comments should confirm comma-like spots. Though mainly found in areas of Pine, it also lives on other trees and shrubs, such as Hawthorn when its preferred Pine is absent. 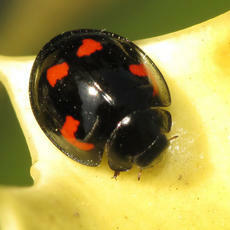 It feeds on aphids and other pests such as scale insects. It overwinters in leaf litter, foliage and bark crevices of evergreen trees and shrubs. Fairly common in Leicestershire and Rutland. 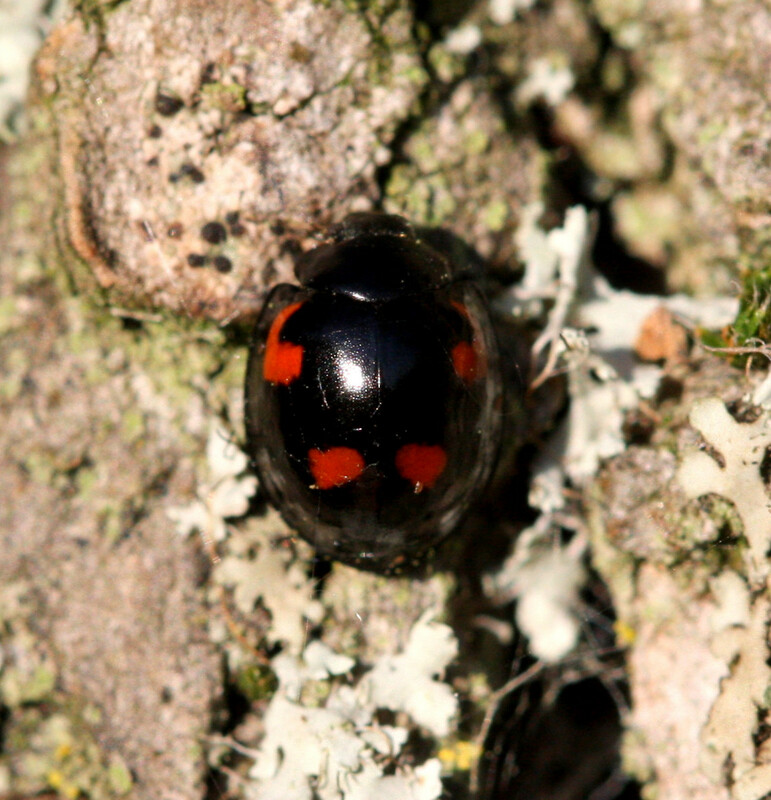 There were a total of 186 VC55 records for this species up to March 2015.